Personalized Attention from a Chicago Law Firm: The Law Offices of Mark J. Rose combines the experience and specialized skills found at large firms with a client-focused, cost-effective approach that only a small firm can deliver. We concentrate on providing responsive legal service which is personalized to the client's needs. We listen attentively to the client's concerns, answer questions directly and precisely and keep the client informed about the status of the case. Our law firm is committed to providing you with a comprehensive evaluation of your legal problems and to resolving those problems favorably. Efficient, Knowledgeable and Responsive: The Law Offices of Mark J. Rose has been lauded by clients as efficient, knowledgeable and responsive and has earned an AV Preeminent Peer Review Rating by Martindale-Hubbell, the highest recognition in the legal industry for competence and ethics. Construction and Mechanics Lien Litigation Commercial Litigation Bankruptcy: We represent individuals and companies of all sizes in a variety of business areas, including, but not limited to, construction disputes, bankruptcy, business organization and reorganization, general commercial litigation, mortgage foreclosure, contract preparation and review, trade secrets and confidential information, contracts not to compete, real estate transactions and other aspects of business activity. We litigate disputes involving mechanics lien claims and breach of contract claims and represent owners, developers, contractors, subcontractors and material suppliers in Cook County and the surrounding counties including DuPage, Kane, Lake, McHenry and Will Counties. We have over thirty-five years of experience litigating issues affecting both public and private construction projects which have included Millennium Park, Northwestern Memorial Hospital, the New Academic Library at Chicago State University, the American Youth Hostel-Chicago, and condominium conversions and developments throughout Chicago. A significant portion of our practice also is devoted to representing individuals and companies in Chapter 7 and Chapter 11 bankruptcy cases. We represent debtors, creditors and creditors' committees in the United States Bankruptcy Court for the Northern District of Illinois, the Central District of Illinois and in other bankruptcy courts around the country. Providing Solutions to Overwhelming Debt: When mounting debt becomes unmanageable, it's time to consider relief through bankruptcy. 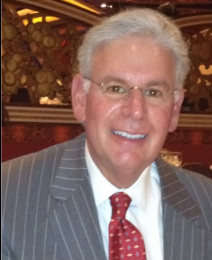 Bankruptcy attorney Mark J. Rose fights for your right to make a fresh start free from oppressive debt and irritating creditors. Negotiators of Debt Relief Options: Bankruptcy is not your only option when facing large debts. If it is in your best interests to avoid bankruptcy, we can often convince creditors to lower your debts and accept fair and reasonable monthly payments. Skilled Debt Analysis Professionals: We apply intensive research and detailed analyses before advising you to file for bankruptcy. After reviewing your income, debts and other expenses, we counsel you on the true and total impact bankruptcy will have on your family, business, home and future credit. If bankruptcy is the right choice for you, we will fully explain the process and the outcomes. Our assertive approach to bankruptcy leaves no doubts. Reprieve through Automatic Stay: You should not have to endure creditors' aggressive collection tactics. The Law Offices of Mark J. Rose can put an end to the harassing phone calls and irksome letters meant to pressure you into paying debts you cannot afford. Creditors must immediately stop collections efforts - including those distressing letters and phone calls - as soon as you or your business files for bankruptcy. We take charge of your creditors and give you back your peace of mind. Your Bankruptcy Options: Chapter 7 Bankruptcy: If you and your spouse own few assets and earn relatively low wages, Chapter 7 bankruptcy grants you relief from debts through the liquidation of your assets. We can negotiate asset exemptions to limit the disruption to your life. Chapter 11 Bankruptcy: If you own a corporation, partnership or sole proprietorship, Chapter 11 bankruptcy permits your business to continue operating while you pay creditors under a court-ordered payment plan. We help you keep the business you struggled so hard to build. Chapter 13 Bankruptcy: Chapter 13 bankruptcy can stop lenders from taking your home through foreclosure. Chapter 13 allows you to keep your hard-earned assets and pay debts over time in smaller amounts. Although Mr. Rose does not handle Chapter 13 cases, he can refer you to a reliable attorney who handles this option. Mark J. Rose is a business attorney with over thirty-five years of successful experience practicing law in the Chicago metropolitan area. Mark has a civil litigation, trial and appellate practice concentrating in a variety of business areas. Individuals and companies of all sizes call on Mark for representation in construction disputes, bankruptcy, commercial litigation, mortgage foreclosure, contract preparation and review, business organization and reorganization, trade secrets and confidential information, contracts not to compete, real estate transactions and other aspects of business activity. Mark has earned an AV Preeminent Peer Review Rating by Martindale-Hubbell, the highest recognition in the legal industry for competence and ethics. Clients regard Mark as efficient, responsive and knowledgeable. "I am committed to furnishing you with a comprehensive evaluation of your legal problems and resolving those problems favorably. I attentively listen to your concerns, answer your questions directly and precisely and keep you informed about the status of your case." Mark has more than thirty-five years of experience in the complex and highly technical area of construction and mechanics lien law. Closely related to his practice in this specialized field is his work in disputes involving breach of contract claims. He represents owners, developers, contractors, subcontractors and materialmen before the Circuit Courts of Cook, DuPage, Kane, Lake, McHenry and Will Counties in cases involving both public and private projects. He is an active member of the Chicago Bar Association Construction Law & Mechanics Lien Subcommittee and served on a Chicago Bar Association subcommittee that drafted protocol guidelines for use in mechanics lien cases involving large numbers of lien claims. A significant portion of Mark's practice is in the area of bankruptcy, both commercial and personal. His representation includes debtors, creditors, and creditors' committees. He regularly appears before the U.S. Bankruptcy Court for the Northern District of Illinois, the Central District of Illinois and has handled significant commercial bankruptcy matters in other bankruptcy courts around the country. Mark is a long-standing member of the Chicago Bar Association Bankruptcy & Reorganization Committee.